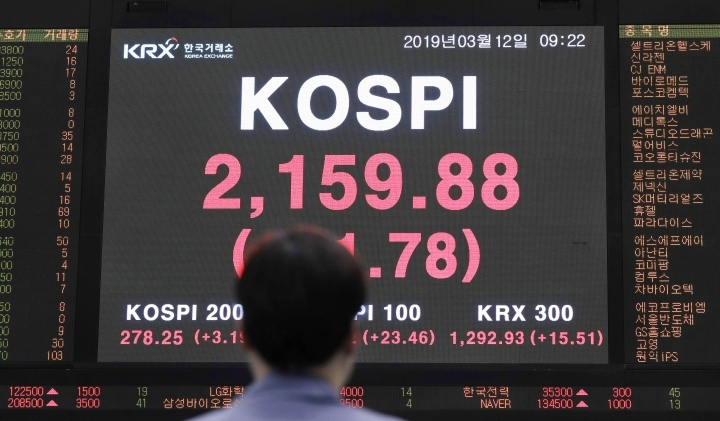 BEIJING — Global stocks turned lower Tuesday and the British pound dropped as expectations grew that British lawmakers would reject a plan to leave the European Union. In midday trading, France's CAC 40 shed 0.3 percent to 5,254 while Germany's DAX lost its gains to trade flat at 11,518. 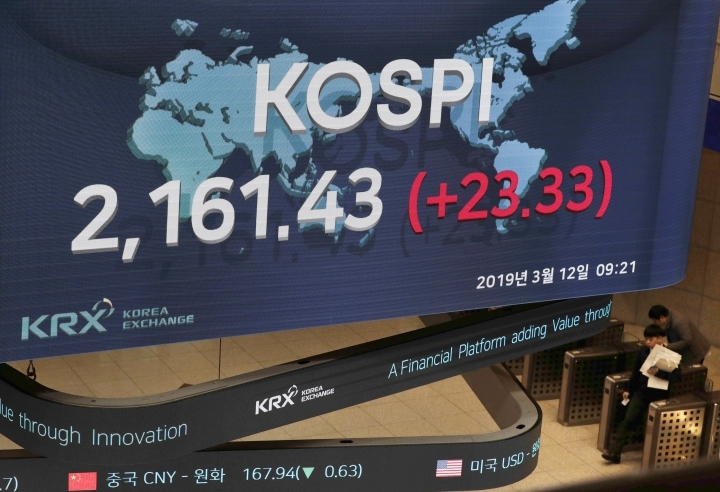 London's FTSE 100 was also flat, at 7,156, while the pound dropped a sharp 1 percent on expectations that the latest version of Britain's Brexit deal with the EU will be voted down by lawmakers on Tuesday. On Wall Street, the Dow Jones Industrial Average was set to open slightly lower, with future contracts declining 0.1 percent to 25,625. The Standard & Poor's 500 futures index fell 0.1 percent to 2,781. Overnight, gains in tech stocks drove benchmark S&P 500 to its biggest daily gain since January. That snapped a five-day losing streak for the S&P, which was coming off its worst weekly stumble this year. Boeing Co. shares were down another 2 percent in premarket trading Tuesday. Boeing's stock lost 5.3 percent on Monday after the second fatal crash involving the newest version of its popular 737 jetliner. An Ethiopian Airlines jetliner went down Sunday, killing 157 people. That followed the crash of another 737 Max 8 crashed in Indonesia on Oct. 29 that killed 189 people. Authorities in Ethiopia, China, Singapore, Australia and Indonesia are among the countries that have grounded all Boeing 737 Max 8 aircraft. Meanwhile, British lawmakers were due to vote Tuesday on a plan to leave the European Union following new negotiations over details including Britain's border with the Irish Republic. Britain is due to pull out of the EU in less than three weeks, on March 29, but Prime Minister Theresa May's government has not been able to win parliamentary approval for its agreement. The pound slumped by more than 1 percent against the dollar, to $1.3014, after the British Attorney General's assessment of May's new deal reinforced expectations that lawmakers will reject it Tuesday. The attorney general said the updated deal doesn't eliminate the risk the country will remain entwined with the EU customs union indefinitely. That suggests many lawmakers are likely to again vote against it. Minutes after Cox's advice, the pound was 1.1 percent lower at $1.3014, almost two cents down from where it was earlier. The impasse has raised fears of a chaotic "no-deal" Brexit that could disrupt businesses in Britain and the 27 remaining EU countries. 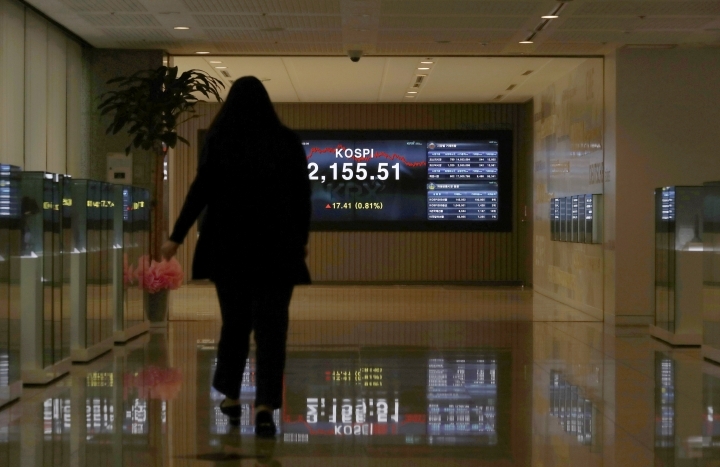 ASIA'S DAY: The Shanghai Composite Index rose 1.1 percent to 3,060.31 and Tokyo's Nikkei 225 gained 1.8 percent to 21,503.69. 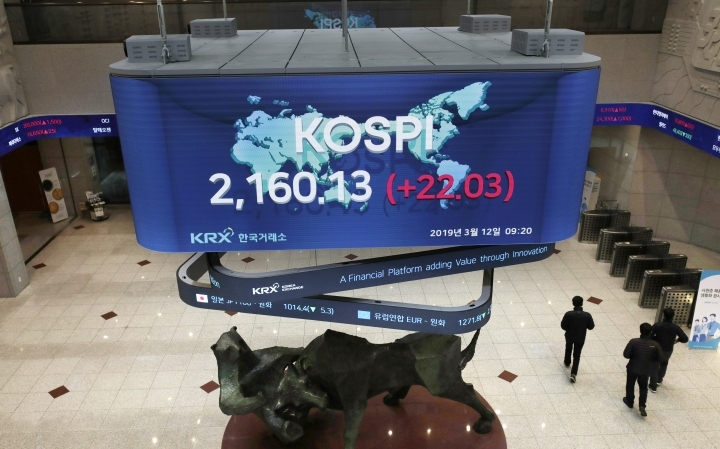 Hong Kong's Hang Seng added 1.5 percent to 28,821.14 and Seoul's Kospi gained 0.9 percent to 2,157.18. Sydney's S&P-ASX 200 slipped 5 points to 6,174.80 and India's Sensex advanced 1.1 percent to 37,456.62. Taiwan and New Zealand gained while Southeast Asian markets were mixed. ENERGY: Benchmark U.S. crude rose 55 cents to $57.34 per barrel in electronic trading on the New York Mercantile Exchange. The contract jumped 72 cents on Monday to close at $56.79. Brent crude, used to price international oils, added 70 cents to $67.28 per barrel in London. It gained 84 cents the previous session to $66.58. CURRENCY: The dollar gained to 111.26 yen from Monday's 111.21 yen. The euro advanced to $1.1256 from $1.1245.